FXMA Wins Training Academy of the Year 2018!! 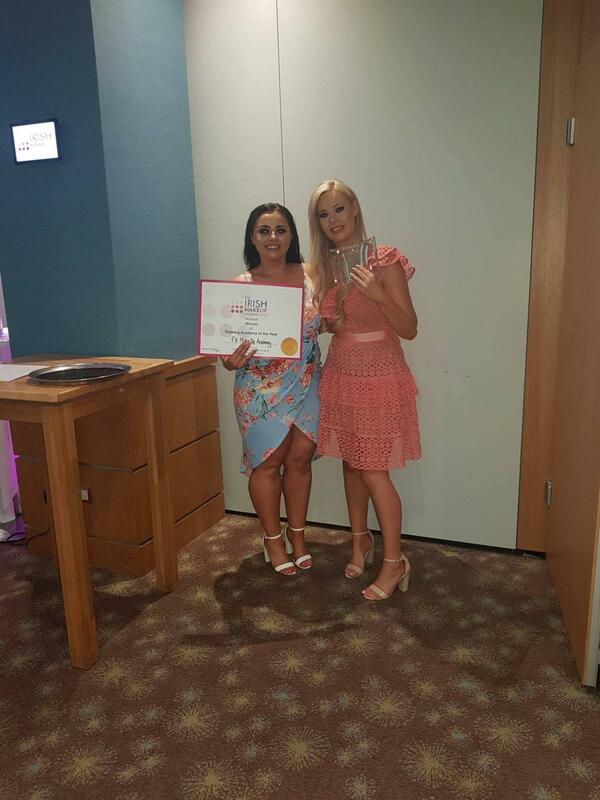 FX Makeup Academy won Training Academy of the Year in the Irish Makeup awards 2018. We are so so proud of winning this award and we want to thank all our amazing students and everyone who voted for us! It is an honour and priviledge to be able to deliver ITEC accredited courses to people who want to break out into the Makeup and Beauty Industry. As a team we have over 20 years experience in the Beauty, Makeup, Hair and Aesthetic Industry and we are driven and focused to give our students the very best experience throughout our courses. As a team we deliver ITEC accredited courses, to the highest of standards but to an enjoyable, creative, hands-on learning experience. We will continue to make our students proud, heres to another year as Training Academy of the Year 2018! !